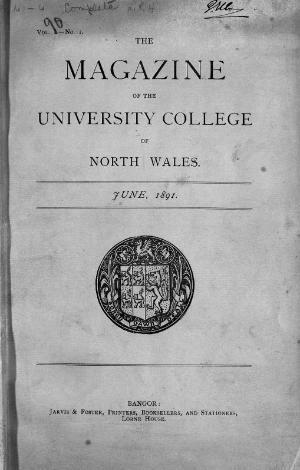 The bilingual periodical of the University of North Wales, Bangor that mainly published college news alongside articles on subjects such as literature and travel. Amongst the periodical's editors were W. Jenkyn Thomas and W. Lewis Jones. Originally a quarterly publication it was published irregularly between 1915 and 1917. Associated titles: The University of North Wales Magazine (1888); The Mascot (1913); Omnibus (1928).